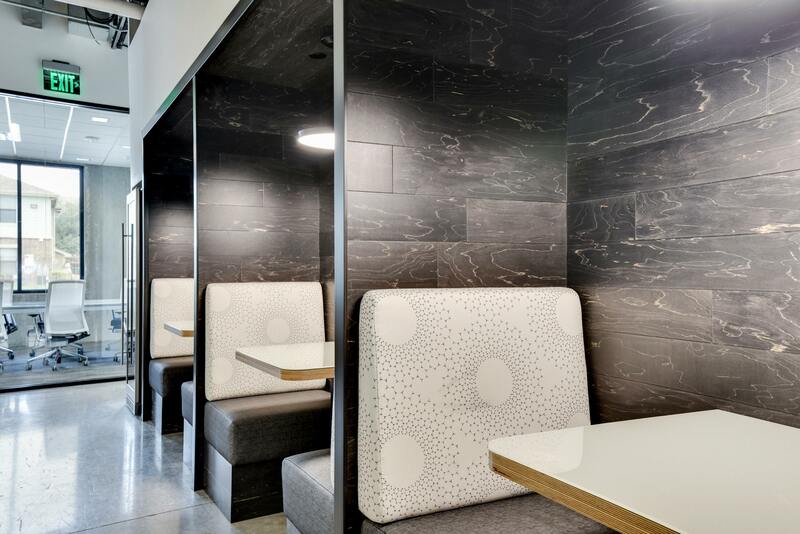 Every business needs a place where their employees can unwind, take a breather and enjoy their lunch. The look and feel of a break room or common area can often be overlooked when it comes to design. 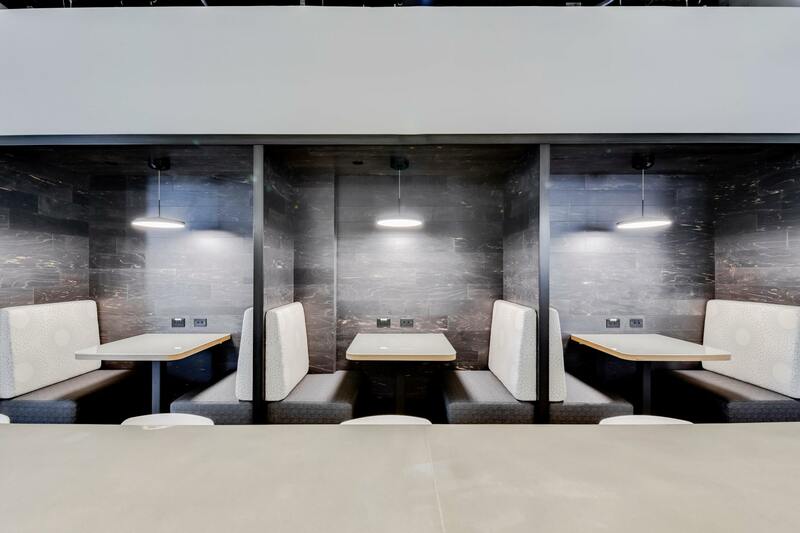 Instead, these spaces become afterthoughts and end up looking more functional than inviting. This is a missed opportunity to create a positive, engaging atmosphere that boosts team morale and helps communicate an organization’s brand identity. 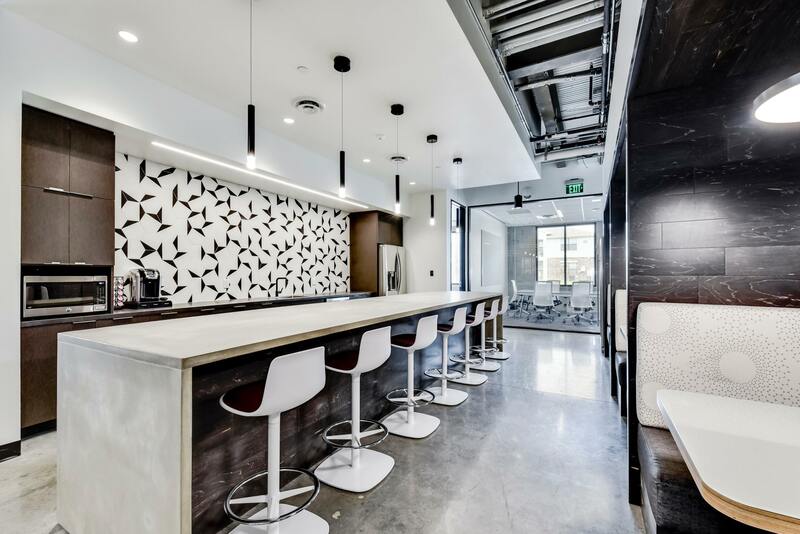 When Red River, a technology transformation company, decided to upgrade the office kitchen and break room in their Austin, TX office, they wanted to make a departure from the normal break room layout and décor and focus on creating an environment that echoed who they are as an organization. The design team set out with a clear goal in mind: Give this common area a state-of-the-art, modern look that matched Red River’s reputation—a company that likes to shake up the status quo in the tech industry. While colorless shades like black, white and gray can take on a minimalist tone, Red River’s design team carefully made décor choices that were in no way bland or ordinary. Case in point: Their use of hardwood wall cladding. Cladding is a great way to spice up interior spaces and Red River’s choice of hardwood put a unique twist on the overall look and feel of the space. The dark, natural finish of Nydree Maple Hardwood added contrast to the overall black and white color scheme of the space. The ebony finish paired well with the white ceilings and countertops while also complementing the burgundy seats on the bar stools. The cladding also has vanilla wood grain, matching both the seat back and the table it surrounds. A nice finishing touch to add to the overall ambiance and create more cohesion between all the design elements. These richly colored ebony walls also feature an added level of durability and functionality. Nydree hardwood features real wood combined with acrylic, making the wood 300 percent more dent resistant than standard wood and perfect for a space that endures an ample amount of daily activity. Even though this wood isn’t on the floor, it will still see a lot of action as part of a busy kitchen and break area. Cladding is also used under the bar, an ideal choice for the wear and tear it will endure as plenty of legs and feet hit and scrape it. 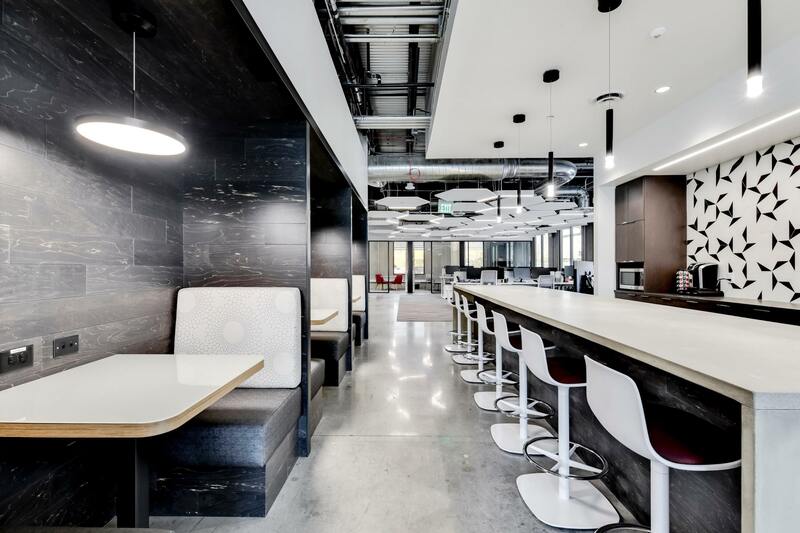 The Red River’s office kitchen now speaks to the company’s style and branding and is an excellent example of creative ways to use hardwood on more than just floors. Many trends will come and go, but this type of wall treatment has the capability to evolve and change to complement many design preferences. When it comes to style and modernity, the overall look of hardwood wall cladding is an evergreen design element. With Nydree’s wide selection of hardwoods and finishes, there is something for every type of design challenge. Contact us today and see why award-winning architects, builders and designers choose Nydree to meet the tough demands of their high traffic spaces.